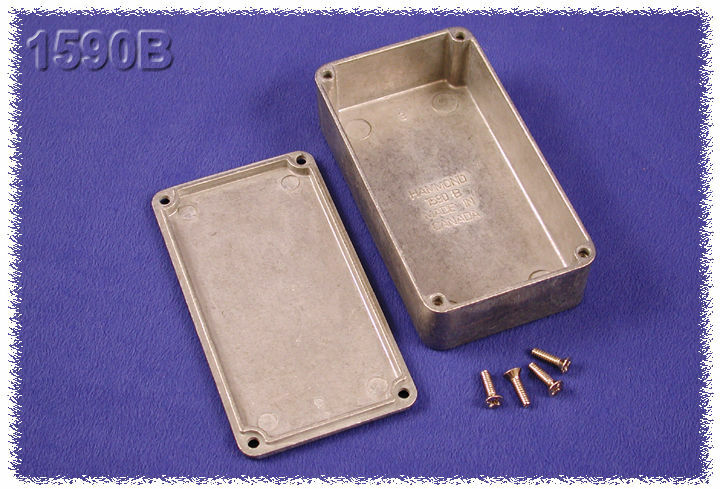 Five of our popular "stomp box" sizes are also available - from stock in other various colors - see our 1590 Stomp Box series. 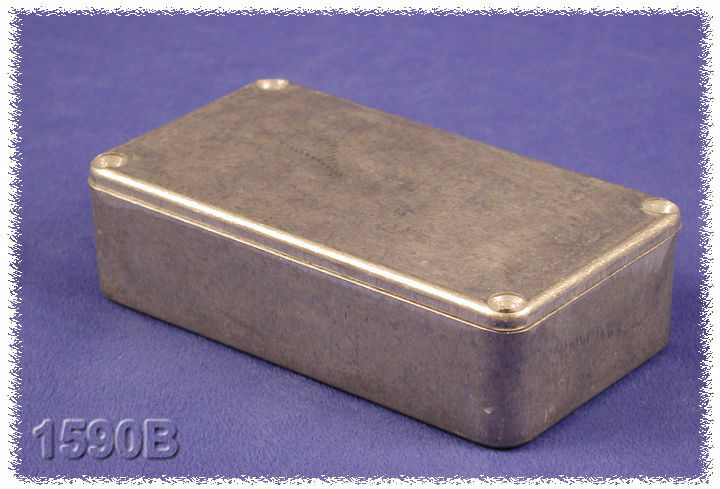 Three of our popular sizes are also available in diecast zinc (heavy weight, high impact, easy to machine & plate). Quantity four (4) 6-32 x 1/2” machine screws secure lid (or six (6) in the 1590BX, 1590BX2, 1590D, 1590DD, 1590DE, 1590E, 1590EE & 1590R1 or eight (8) in the 1590F) - into factory tapped holes. See drawings and/or photos for details. 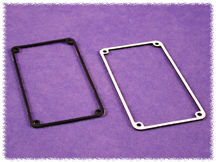 Designed to meet IP54 (see gasket kit accessory below to meet IP66). NOTE: Three sizes: 1590CE, 1590DE & 1590EE use metric lid screws. Replacement part number is 1550MS100 - Package of 100. 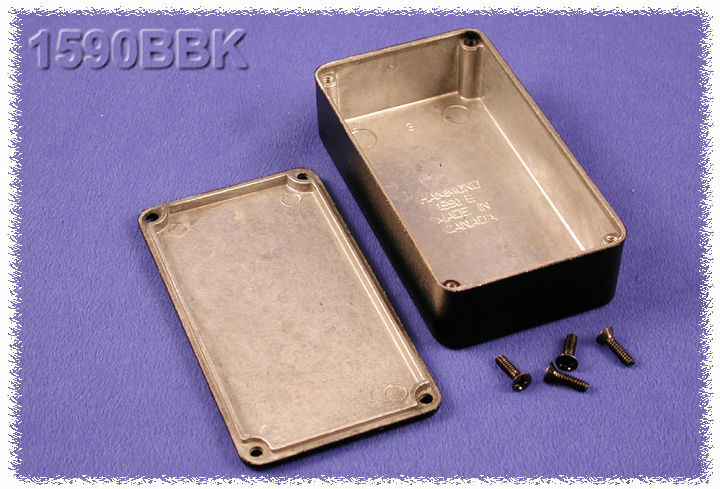 Three sizes: 1590CE, 1590DE & 1590EE use metric lid screws. Replacement part number is 1550MS100 - Package of 100. Available in natural vibra finish OR in light textured, black powder paint. 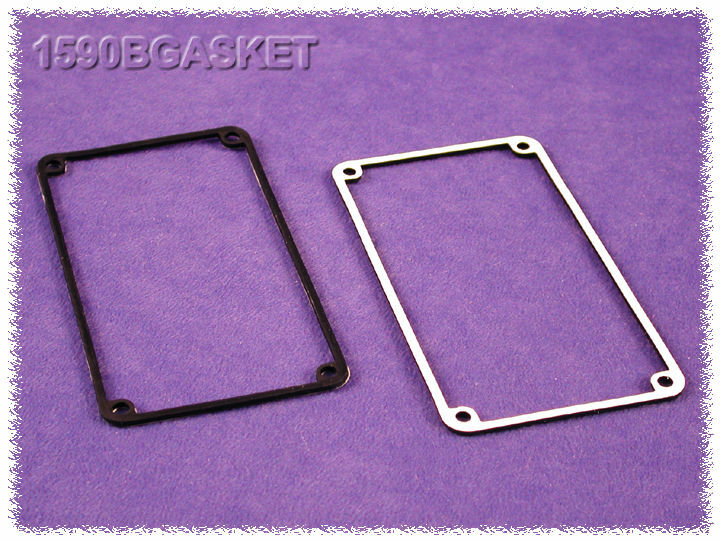 Each kit includes two pre-formed silicon gaskets. Gaskets include adhesive backing for easy installation. 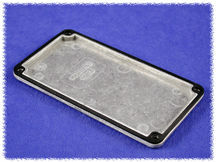 Gasket is applied to the lid (see photo example). Designed to meet IP65 with properly installed gasket and lid screws torqued to 25-30 cN.m (36-43 ozf.in). Exactly what you are looking for??? Link to our stocking distributors - most have "on-line" pricing, stock check and ordering!! !